One of the most important contacts that you can have, when it comes to your home, is a Locust Valley roofing contractor. What you will want to know is who the number one choice in the area is - Magnum Contracting Group – and why. We take great pride in the work we do because we realize this is more than just a fixture on your home. This is the first line of defense against the outside elements. 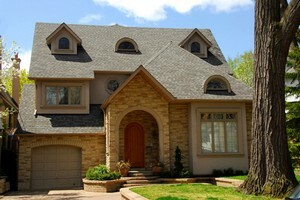 Your roof protects your home but, more importantly, the people and property inside those four walls. It's about giving you and your loved ones a comfortable and safe place to call home. We believe in going above and beyond, when it comes to taking care of such an important aspect of your house. This is why we do not aim to meet your expectations, our goal is to exceed them. We look forward to working with you and providing you with the service work you need, to keep your roof in tiptop shape. An inspection is your best way to prevent surprise emergency repairs. This enables a professional to take a look at your roof and find out if any repair needs or red flags already exist. It will also help make your roof more energy efficient. Putting off getting repairs addressed doesn't save you money. For instance, an inspection is a much more cost-effective approach to nipping repair needs in the bud. But, at the very least, take care of repair needs once you are aware of them so that they do not develop into something much worse. Taking care of repairs in a prompt and professional manner will also help prevent the likelihood of needing unexpected replacement, long before it should be time. The work we do is meant to provide you with optimal longevity and superior performance. So don't put off getting repairs addressed by your Locust Valley roofer. The good news about roof replacement work is that once you do need it, you at least know who to turn to. We offer the best in superior quality replacement service, intended to help you get years, if not decades, of excellence from your new roof. Magnum Contracting Group genuinely cares about helping you get the results that you want, need and deserve. If you are looking for a professional Locust Valley roofing contractor then please call 516-277-2300 or complete our online request form.